Luis Enrique's reign as Barcelona boss will end after the Spanish cup final against Alaves in the last official match at the Vicente Calderon in Madrid before it is demolished. 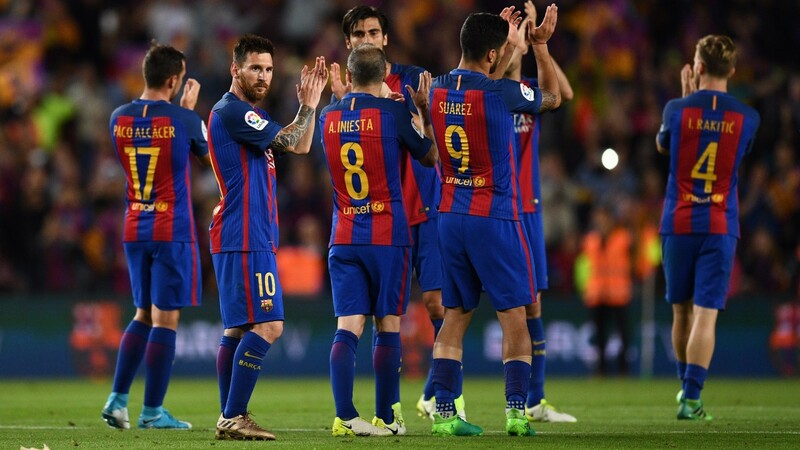 Bookmakers are expecting to be demolished as well with Barcelona red-hot favourites despite the suspension of Luis Suarez. It should not be too much of an issue with Lionel Messi usually the man to rise to the occasion, scoring 25 goals in his 24 appearances in finals for Barca. However, Suarez's absence does take away one of Barca's main threats and Alaves may be able to frustrate the superstars early on, with the first goal coming after 20 minutes looking like the best bet. Alaves have had a fine season under Mauricio Pellegrino who clearly learned plenty during his spells playing for Rafael Benitez as the promoted club finished ninth in La Liga. They started the season with a fine 1-1 draw at Atletico Madrid (the first goal was scored after 90 minutes) and they dominated the goalless return. Two late goals saw them lose 4-1 at home to Real Madrid, while they held out for just over half an hour before conceding in a 3-0 loss at the Bernabeu. Alaves stunned Barca with a 2-1 success at Camp Nou in September when the first goal arrived via Deyverson after 39 minutes and the 6-0 loss in the reverse fixture owed much to the fact that Pellegrino's men had qualified for this final just three days earlier. It still took 39 minutes for Barca to break the deadlock.